Create your own Sign or Select preset sign by using this screen. 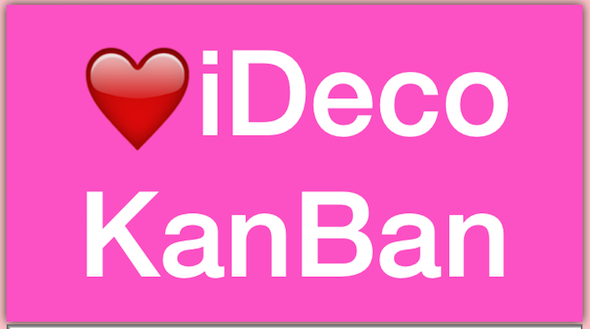 Tap “Start” button to start the sign of iDeco KanBan. You can change the color, text(including emoji), type of the sign and speed of “Flicker” and “Textroll” animation. Check your sign in the Preview Window. Base color, Text color, Style of row, you can check how the sign will be shown on the Screen. Once complete your sign on the preview window, “Swipe Down” on preview window will save your sign to Top row of User Preset list. Choose text style from Plain, Bold and Italic. Emoji will note be changed to Bold and Italic. Also some of the non alphanumeric characters can not be style in Italic. When “Multi line” was selected, iDeco KanBan will calculate appropriate lines for the text you typed. Please adjust the lines by inserting white space in between word and word. 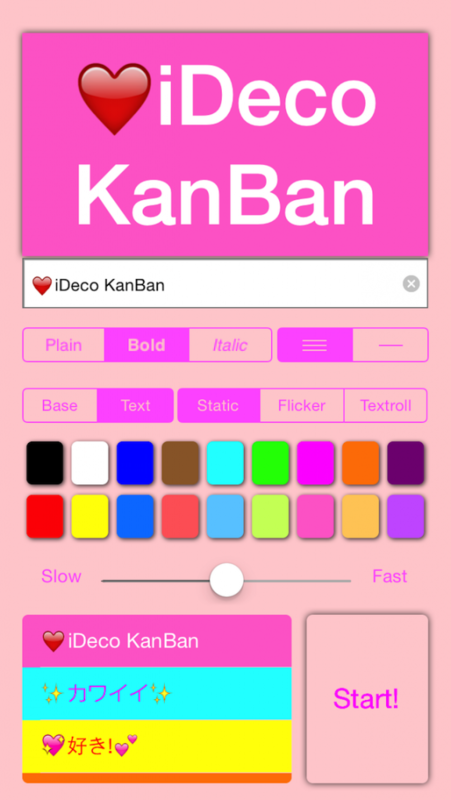 Tap “Base” when you want to set the background color. Tap “Text” when setting Text color. The color of the button will be set to Background or Text according to “Base / Text” selection button. Choose sign style from “Static”, “Flicker” or “Textroll”.